Explore St Petersburg's imperial sights on a day tour that takes you from Catherine Palace in Tsarskoye Selo to Pavlovsk Palace. 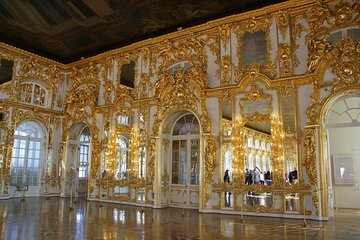 See the famous Amber Room, stroll through elaborate gardens, take in lavish architecture and enjoy a traditional Russian lunch. At the end of the day, you have the option to enhance your experience with a boat ride on the Neva River.